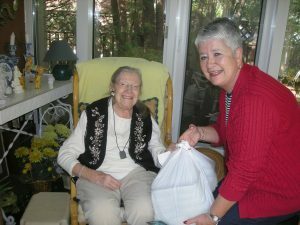 Make a difference in your community – Become a Meals on Wheels Volunteer! Every year over 400 volunteers are needed to make our operation run smoothly, contributing more than 24,000 hours of service in central Ottawa. Volunteers are the vital link in our service and add an immeasurable human value to the quality of what we do. Our screened and trained volunteers also provide a personal contact, a safety check, as well as an interested daily visitor. Hot meals are delivered over the lunch hour between 11 am and 1:30 pm Monday through Saturday. Frozen meals are delivered on Fridays between 9 am and 11 am east of the Rideau Canal and on Tuesdays between 12 pm and 2 pm west of the Rideau Canal. We have kitchens across the city that provide hot food for our program. Volunteers can pick up the meals close to where they live or work! Contact us to find out where your time and talents can be invested in our agency. 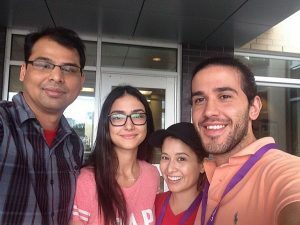 What do I need to know before volunteering? Our volunteers come from all walks of life. It takes a dedicated team of over 400 screened and trained volunteers to help feed our community. Here’s how to become part of the Meals on Wheels team. Fill out our online application or print the application form and return it to our office or call our office at 613-233-2424. 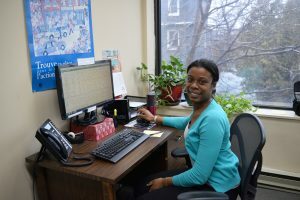 Participate in a short interview by phone or in person with one of our Volunteer Department staff. Attend an orientation session to learn more about the program. Provide two references and obtain a Police Record Check for Volunteer Work with the Vulnerable Sector. Be at least 18 years of age or be accompanied by a parent or guardian when delivering meals. Participate in on-the-job and ongoing training. 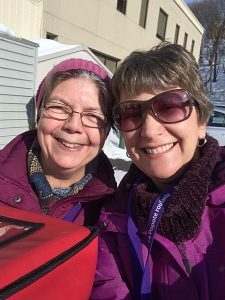 Meal delivery volunteers usually work in teams of two. Drivers use their own vehicles and are paired up with volunteer servers. Servers do not need to have a vehicle. Cyclists use their own bikes and our MOW trailer. Drivers and Servers for our Hot Meal and Frozen Meal programs. 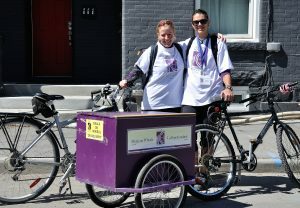 Bike Deliverers as part of our Meals on Two Wheels program. Depot Drivers and Depot Assistants to transport meals to our depot pickup location. Our Board of Directors, individuals helping on various committees and special projects, as well as those serving as Ambassadors in the community round out our diverse and dedicated team of volunteers. Here are our current opportunities. Contact us to find out where your time and talents can be invested in our agency. Flexible schedules and commitments based on your availability. A letter of reference after 6 months of service (if requested). The option to volunteer as a family, with friends or with co-workers. Ask us about our Corporate Delivery Program! An invitation to our Annual Volunteer Appreciation Dinner. A chance to meet people and make new friends!